While, I keep raving about my glowing facial skin, there is no running away from my sorely neglected feet. I must admit, my feet look appalling with all the years of abuse, rough skin, hard calluses and ugly pigmentation! The last time, I remember getting a pedicure done was before my wedding! So before things get really nasty, I decided to get serious about my foot care regime and an appointment at Kaya Skin Care Clinic was procured. The Kaya Skin Care Clinic in Ludhiana is situated in one of the most posh areas of the city and is mainly frequented by rich society ladies and elite beauties of the town. Confronted with such impeccability, my immediate instinct was to flee. Thankfully, my instincts were soon calmed with a ‘welcome drink’ and warm greetings from polite Kaya girls at the reception. With not much waiting, I was ushered in for a consultation with the dermatologist. Looking at my neglected skin rather kindly, she freed my mind of all the worry about my ugly feet and prescribed a foot care cream for daily use. Enlightening me on the benefits of using Kaya Foot Care Cream, she told me that due to years of neglect and abuse, the skin on our feet becomes rough and cracked. Normal moisturizers and skin care products fail to permeate this hardened skin on the feet and are hence useless for moisturizing feet. Kaya Foot Care Cream contains Glycolic acid and Urea that first removes calluses and exfoliate hardened skin for effective penetration. Glycerine, Vitamin E Acetate and Fatty acid complex then invigorate and revitalize skin for soft, smooth heels and feet. The cream comes in a no fuss white colored plastic tub with brown font. It has a soft jelly like texture that absorbs easily into the skin. I honestly didn’t like the scent of the cream. It has a strong medicinal fragrance that may feel obnoxious to many. But the way this cream left my feet instantly soft and moisturized, made me fall in love with this foot care cream from Kaya skin clinic. On receiving dramatic results with just once overnight application, I didn’t feel a serious need to use the cream twice daily as prescribed. Within just one week of consistent use my feet are now back to being soft and supple. Wonder, how will they look and feel after one month of diligent use! So far, the cream has cured my cracked heels and rough skin problem. May be after using it for full one month, I might see noticeable improvements in pigmentation and rigid lines on my feet too! Wash feet and pat them dry. Apply a pea sized amount of cream to cracked heels and rough skin and rub it in. For best results, apply to feet at night and wear socks to bed. Wash off after 8 hours in the morning for baby soft heels. 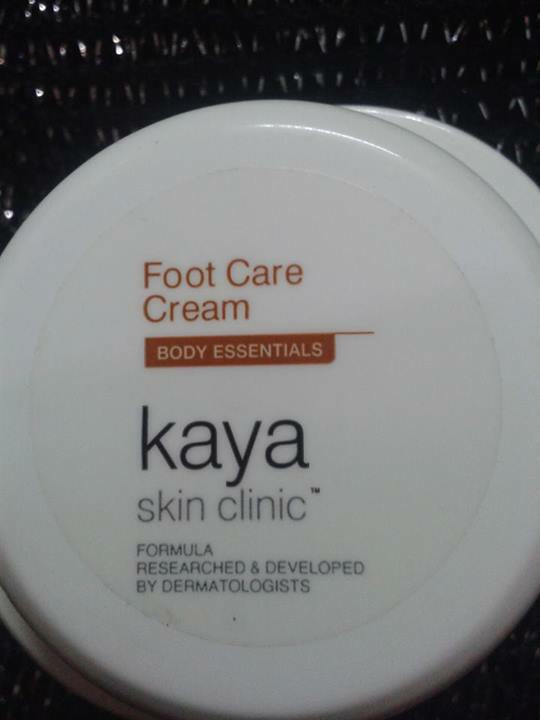 Kaya foot care cream has turned out to be a true savior for my dry, rough, calluses prone feet. Doing what it claims, it offers complete value for money. An excellent skin care product for those beauties, who tend to neglect feet or don’t have time for regular pedicures and professional foot care. Hi Anshulika ChawlaI such a good review regarding Kaya Foot Care product. 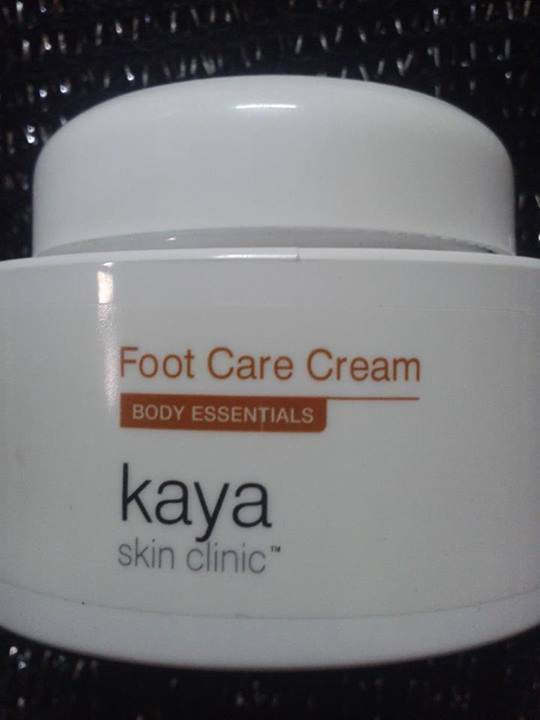 We always ignore our foot but i am glad you reviewed this kaya product. I have never tried any product for foot care. 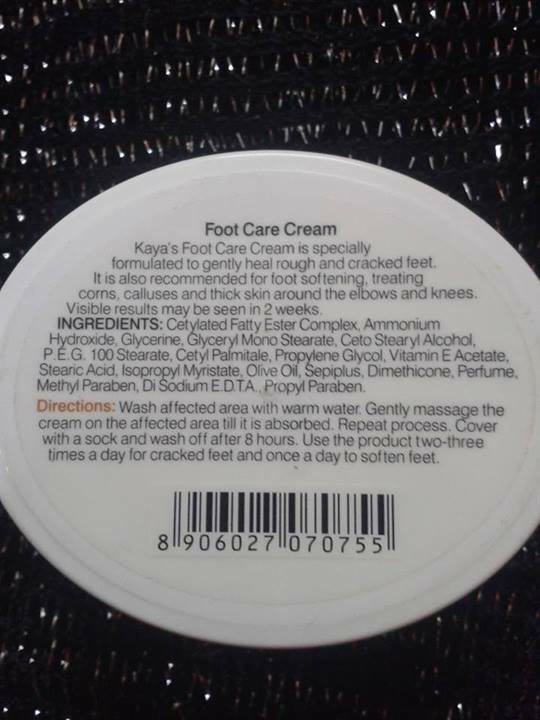 But i am suffering from cracked heels which needs regular care so i am planning to use kaya’s foot care cream. I am quite impressed with kaya products as i have used their acne care products which gave me positive outcome. That’s a brilliant review of a product that I have always wanted to try. Any idea if it will take care of my rough underfoot and the cracks because I have been trying hard to get a soft underfoot. I know that Kaya products are generally great and worth the price, but this is something new for me. Anyway, thanks for your review. I’ll visit a Kaya Clinic for more info. Hi Rina. Glad you found my post helpful. Since, Kaya foot cream contains glycolic acid and emollients, it should take care of your rough heels and cracked soles. For softer feet, always look for products containing urea, glycolic acid and emollients. All the best for your visit!